"Cloudfront - safe, fast and easy to use"
It is a complete CDN for all types of accommodation, has an unparalleled network, for delivery and distribution of content, at a unique speed in the market, thanks to the network servers Amazon has, this is something that is not found in no other platform claiming to offer cloud integration services, the transfer between the different servers is impressive, speeding up the content scale, in the different search engines, in this way we are always first in the searches that interest us. It has a very complicated cache memory, I can not understand well, how this system ends in cloudfront, but always the files tend to give certain errors when they overlap each other, in a short time. We have a website of first quality, with one of the best CDN in the market, if it is not the best, thanks to this we have a fast website, where we can provide all kinds of services, and upload all kinds of multimedia content, without destabilizing the full operation of the website, all kinds of static content stored in EC2, does not interfere with the operation of the website, and is available to be used at any time, thanks to this the user databases do not interfere, with the load of other files hosted on the site, in this way the visualization of all types of contents, images, videos and others is streamlined, working in a unitary way, without interfering with the other contents, which are used for the operation of the Web. "One of the best, reliable and cheap CDN." One of the best feature of cloudfront is that it is part of the AWS ecosystem, has an amazing free tier, very east to setup and also supports https by default. Lambda at edge is another feature that makes cloudfront unique and functional. Cloudfront is very pocket frontly if you don't have a huge data transfer, once the data crosses several 100 TBs the prices go very high. Takes around 40 mins to setup, wish this would have been faster. Another downside is that cloudfront has fewer nodes compared to some other CDNs. Cloudfront works great with most requirements, but in case you are planning to use CDN for use cases such as video streaming there are other good options in market specifically for video streaming. Location is also an important factor, depending on the region you want to serve content there cloud be other CDNs that have more number of nodes/edges, hence serving content faster/with low latency. Our primary use for cloudfront is to reduce our server load, as we have to server tons of images / static content. Cloudfront has helped us in reducing our server costs and also helped our customers in getting our content faster, hence we're able to sell our services at a lower cost. "Amazon CloudFront - Content Delivery Network"
The Amazon CloudFront content delivery network takes into account the worldwide dissemination of computerized content through territorial focuses that work in significant business centers. It diminishes dormancy in getting to static and gushing information through its appropriated content delivery channels, which guarantee that the information is conveyed to the beneficiary from the closest CDN server. Amazon CloudFront is a compensation as-you-go display that can without much of a stretch be incorporated with all Amazon Web Services. The price of Amazion Cloud front is very confusing and Technical support only available for an additional fee . We use it for Live and On-Demand video Streaming and also for security and DDoS protection . "CloudFront is incredibly easy to use, intuitive and puts us ahead of the game"
The power and simplicy to set up and configure and the abundance of features and configuration granularity. The design seems to be very well "thought out". Honestly, I have not run into anything (as of yet) that I have disliked. Understand all of the features that CloudFront offers before making any assumptions. We were getting ready to implment GZIP compression within a Lambda@Edge and then realized that CloudFront already offered GZIP compression for S3 origins at the click of a button! We are using CloudFront to "front" all new "customer facing" digital properties that we are moving out to the Cloud. We are also taking advantage of Lambda@Edge to solve a problem having to do with "Deep Linking" for larger single page applications that we are hosting within S3 buckets (as origins). "Don't put in the wrong setting because it will break everthing"
I like that it's already integrated with other AWS services easily, but that's about it. It also seems very highly customizable. It's really hard to use. Seriously. You really need to know what you're doing. I supposed you could always improve UI/UX, but I think that’s already pretty decent. I’m sure it could probably run faster too, but that’s still not that bad either. Amazon also keeps updating/changing their user interface, so we're having to re-learn how to set things up again periodically. Despite the redesigns, our CloudFront distributions continue to crash on us frequently and create problems when configured with DNS. If you really really really know what you're doing, then this could be a viable option, but if you want to sleep well at night and not have to really think hard about setting up CDN and DNS then you might want to go with another provider until Amazon gets their stuff together here. We tried using CloudFront but because it kept crashing, we ended up not using it heavily. Availability and scale are important. As a manager of an online video library, CloudFront allows us to host registration and payments on our own dedicated systems and store large files for video using S3 for CloudFront streaming while controlling access to it. I also like the offsite file storage capabilities. Having nearly unlimited bandwidth availability is key. The only thing I dislike is some slowness in transferring a file into the edge CloudFront location if the file is large and is not regularly accessed from S3. I have not looked in the last year, but there was not an easy way to keep these files cached using a valid until type header reliably. We save in infrastructure. In combination with S3, CloudFront makes our system is flexible and is minimized when not in use and can support a nearly unlimited number of customers when we need it without paying for the excess idle hardware. "One of the Fastest CDNs and good features with old UI"
They have several CDN points all over the world. Good Cdn for our websites. I'm currenty use for my 7 websites. It has file (images, pdfs, videos etc) compression feature in the system too. You can find advanced use newest TLS 2018 But there is no POPs (points) on Turkey (Istanbul, Ankara etc.) although others have. ui is old. maybe they should improve and use more user friendly UI. Current UI is complicated for first time users. you need to adjust. Purging option is not good, also it is hard. If you are looking for CDN and has point on your country of the website host, select Amazon. CDN. I'm using for my websites as CDN solution. "An easy to set-up and manage CDN that has a great price point"
CloudFront has allowed us to speed up the website and allows us the ability to use the points of presence to get content faster to the users. The features are a little limited, such as your SSL and additional items. Support is also a little harder to reach, so you would need to reference online documents and forums for quick fixes. It's an easy system to use and operate. It may be lacking some features but overall it will meet the objectives for CDN files. The increasing geo-targeted and speed issues with our website. "n excellent performance boost for your site." The further your customers are from your data the longer the data takes to arrive, making your site appear to be slow. In the current world, customers are spread all over the place, which means that you need to distribute your data to multiple geographic locations in order to give everyone the same speed of access. This is a very costly thing to accomplish when dealing with the physical world, and is still a pain to configure when trying to integrate a random content delivery network with your network. Since CloudFront is an AWS service, it just works with S3 and EC2 perfectly. Along with providing a geographic caching service, CloudFront also lifts even more resources from your EC2 server, allowing you to save more money on processor and memory requirements. It does take a bit of research to get set-up properly, and even I had to make a few attempts at configuring the service before I had it operational. You will need to set-up S3, CloudFront, Distributions,and a few other things until the service works as imagined, but once it does, it is beyond expectations. I would say this is the hardest AWS service to configure, at least for me it was. DO a lot of research before hand, and utilize the Activate services provided by the AWS Loft if you are able to, especially one-on-One support with a Solution Architect and training on CloudFront. Saving costs on needing geographically diverse locations, servers, storage, and etc, while providing and increase in speed and responsiveness to all of my customers, regardless of location, while reducing my EC2 costs by offloading more services that would be using resources. "Straightforward CDN provisioning for your AWS assets"
Quick to set up and manage distributions. Easy to manage multiple storage environments or s3 buckets storing vastly different content (for example, static resources, or live streaming content with RTMP). Not much, it's honestly a solid product. My only complaint is with AWS's handling of SSL certs for CloudFront (although this honestly affects many different Amazon products), DNS validation can be clunky and takes a while. We currently use CloudFront to deliver CDN content to a vast system that serves large video files stored on AWS. We integrate with Web Application Firewall to restrict access by IP match, to prevent unauthenticated users from accessing protected CDN content. Quick setup and implement. It may just take you 30mins to finish every set. And it also provides future scale-up flexibility as an economic solution. Purge interface is not so friendly and not for none-engineer to operation. CDN is a very import service for the website. Couldfront provides an economic way to broadcast your website to worldwide and also give you an easy interface to manage it. "Why we using CloudFront for our web service"
The best thing I like in Amazone CloudFront is it delivery data from the server to clients is quite fast. Even how many concurrency users at the same time or where are the user's located. This will make your site increase the position of the result from the Google search. Amazone CloudFront is also very easy to setup. Just a few clicks and your static data is available anywhere in the world. For the developer, Amazone CloudFront SDK supports a large number of program languages so that you can easy to integration with your application. Moreover, Amazone CloudFont have a large community to help you if you have a trouble. The think I don't like in Amazone CloudFront is it just work with Amazone S3. So, If you want to use CloudFront, you must upload all your data into S3. My company has some websites based on WordPress. They want to increase the position result from the Google Search, make their website as fast as possible. So, they decide to use S3 with CloudFront. It very easy to connect from Wordpress to CloudFront because it already has a plugin to do all of them for us. "Excellent worldwide distribution for video content"
- Vendor lock-in can be a turn-off to potential buyers. Moving off of CloudFront will require moving storage and routes. - Requires some knowledge of AWS stack. If you are already invested in the AWS platform, CloudFront is an excellent choice as it integrates very well with S3. AWS also offers consolidated billing, so from a financial perspective all of your IT costs can be organized under a single LOB. As for the system itself, it does a great job of distributing your content to the regions you host your servers and where your customers live, worldwide. Distributing video content reliably can be expensive and require complex system setups. CloudFront handles the distribution and media streaming so that you can focus on your business applications. If you are already invested in the AWS stack, tight integration with S3 makes storage and distribution simple. "CloudFront is a great CDN service"
CloudFront is a great service to get someone started using a CDN. it's very friendly to use, has more and more features as time goes by, and actually is quite powerful. it is not flexible enough, and like all other AWS services, there is no option to have any custom features of configurations done for a customer by the service team. we are delivering content globally using the CDN features, but more importantly we utilize the compute abilities of labda@edge that integrate with CloudFront and allow us to perform business logic as close as possible to the user. "Still confused on what went wrong"
"Integrates really well with other Amazon services"
It allows us to distribute the assets for our websites across the globe, meaning that wherever a user is, our assets are physically close to them. It means that they can pull down fonts, CSS, JS and images faster than our application servers could ever supply them. It integrates really well with the rest of Amazon's web services. I find the dashboard to be really complicated, and I wish that Amazon's management console did not force you to only be in one locality at a time - at times I would like to be able to see CDN servers from across the globe instead of just the ones in the region I happen to be logged into. I would also consider Akamai and other similarly priced CDNs if I did not use other Amazon web services. It is relatively expensive, and there are better options to be had outside the Amazon ecosystem. By using a CDN, our application servers and our data centres are now free to use their bandwidth serving the actual meat of the web requests without being bogged down by assets. It means that clients' sites load faster and more reliably. "Cloudfront for software and web site availability"
The ease of setting up Cloudfront and pushing out new updates is probably the feature I like the most about Cloudfront. It follows the pattern of the rest of the AWS stack, great administrative interfaces, easy to understand, quick to setup. As a bonus, you get a interface, showing you how the traffic is hitting on the different edge instances you have. These logs can also be easily obtained for use in your own tracking systems. I have at times experienced that the speed of download from the edges are slow, before a few downloads have happened. I have not investigated it any further, but it looks like the edge files are not cached or something similar until someone have actually requested them? When the files have been downloaded a few times, the speed is great and as expected. As with all AWS tools, this is easy and quick to set up. We would recommend you to have a central monitoring system to add the CloudFront logfiles into. This will enable you to get even greater value out of the information that CloudFront offers to you. I.e. use a tool like Kibana to be able to drilldown into the logfiles. Amazon CloudFront is a CDN. To be honest, it's not the most features CDN on the market, but I personally believe it provides everything required for the majority of use cases at an affordable pricing. It's easy to use, you can provision a new distribution in about 30 minutes, it perfectly integrates with Terraform, has 100+ point of presence across the globe and they recently introduced Lambda@Edge - that's the ability to run your functions (lambas) directly on CDN edges, opening anyone to edge-computing. It's hard to say what I dislike, since CloudFront is one of the best AWS services in my experience. Let's say I would enjoy more features on Lambda@Edge, to enable building more applications, like on-the-fly origin binary response manipulation (using a stream-like pattern). I strongly recommend CloudFront CDN. As an user since several years, and after comparing it with other solutions, I personally believe it's one of the best CDN solutions in the market. We use CloudFront for several use cases, including caching of web assets, distribution of audio files and DoS protection having it in front of our endpoints. "CloudFront: A fast path to solve content delivery requirements." - Well designed administrative interface. - Integrates easily with other Amazon services, (S3, Route, etc.). - Mainly for static media content. - The right amount of features for each kind of media supported. As sysadmin, sometimes we like to optimize and change some things under the hood of our infrastructure; but that can't be done with Amazon services directly without spend some effort. But there is a lot of documentation and customer forums that have almost enough information and cases of use. Another issue that I don't like is the rounding method use to bill the consumption of each service on Amazon platform. Google does that better. CF Is a great product, but you need to consider a lot before get it working. First you must integrate with your present workflow and develpment context, using the right tool on each one. Then how will be the deploy, manual or automated. It's pricing, simplicity and range of settings. It allows you to configure almost everything but you're not forced into doing so and can easily change the settings later. The pricing is the most straight forward of any other tool (other than Free cloudfront). Asset ejection/expiration after 24 hours. Some settings are a bit magical and the docs lack detailed information. Stackoverflow is often necessary to figure out some hidden details such as how long objects linger before being ejected. Fastly will keep stale objects for up to 37 days but Cloudfront has a current maximum of 24 hours with no ability to prolong it. It's the best overall product in the market. Fastly has a few extra features but higher upfront fees. CloudFlare is a bit too much like magic unless you go enterprise. CloudFront is perfect for anything in between or what you would usually need. "Solid CDN that works great if you use Amazon services"
Seriously simple CDN. We already host everything on AWS so using this was a breeze. We use it to deliver 720p resolution images to about 3M devices each week and it's never given us problems. Setting it up took no time and then it just works like any other asset link. We access them via a chromecast app and it's flawless. We manage everything in normal S3 buckets so literally the process is identical, we just drop files into the cdn folder in S3 and follow the links. No learning curve for anyone and nothing new to mess up, it's as seemless as it can be! If you accidentally upload a wrong file or need to make changes your assets are immediately cached so you need to upload the edited version under a new name and re-deploy. Not the biggest issue but it would be great if there were a simple way to nuke the cache on the entire CDN but that's just not feasible! Need to just be precise and redeploy new links if a mistake is made. It happens sporadically. If you're already using AWS/S3 this will be the easiest tech implementation experience you've ever had! Yes you'll need to have been the one who set up S3 but it'll be super fast and easy and your asset load times will be SO MUCH BETTER. Try it, you'll love it. Did I mention it's super affordable, too? Just make sure to compress your stuff, we use WebP files for images. Rapid deployment and loading across multiple territories. We serve 2M+ users and that data needs to get there! "Easy to implement cache and WAF layer"
Very easy to setup a basic cache/CDN in front of an existing web platform. Good support for changing behaviors for different filetypes/locations/etc. We use the same setup for many different sites/accounts, but there is no way to copy an existing cloud front deployment (like for launch configs). Can use cloud formation, but no way to copy in the Console. Put it in front of your web servers, even if you don't use the caching. Originally we used Varnish with our websites. However, with load balancing there's no easy way to do Varnish HA. There is a Varnish cluster variant but it is VERY expensive. This also takes the load of the EC2 instances so sizing is no longer a consideration. "Cloudfront has helped the company reduce load on our web servers"
Definitely great for serving your static content. Make sure to use different names when replacing an image (or bust the cache), and use a cache busting technique for css and js files. "Fast start with Amazon for startups"
Interfaces helps to debug your integration and makes it transparently. SDK for a lot of languages. You can use your domain instead of S3/Cloudfront domain. Settings are very easy and completely explained in Amazon's documentation. Documentation is great. Community is really large, you can find a lot of answers in stackoverflow. Bills sometimes confusing - not easy to understand detalization for payment structure. It is a great solution for startups and prototypes. Pricing is not low, but (!) your start will be fast and easy with S3 & Cloudfront. User's data hosting. We are using Cloudfront for frequently used static content and S3 for other. Integration was fast and transparent. It was easy to divide dev / staging / live environments. Relatively easy to configure and well integrated with the rest of AWS services, which is a great advantage. It can get pricey if you have enough traffic. For some apps we pay about half of the production cost on CloudFront alone. If you already use AWS just give it a try, it will make your app load much faster. We use CloudFront for caching static content, it's easy to use and we like the service features, but it's a bit on the expensive side. "Use CloudFront to speed up your site with ease"
It is a very simple solution to implement and get up and running. All of the main features you would expect to exist are available. Some delays when clearing cache for items. The pricing can be confusing at first as you need to use a calculator to find out what your bill will look like. Once you understand how the AWS administration system works, you will have no problem setting this up. Speeding up serving images and other media. Save costs on bandwidth and able to serve media quicker to different geographical locations. "Fantastic CDN for platform level delivery accelleration"
Incredibly easy to setup, absolutely brilliant technology, it just works and works well. You can quickly deploy your S3 content to endpoints around the world, secure them with an SSL provided by AWS, and do virtually no extra work from a development standpoint. The cache invalidation can be tricky if you work in an environment where assets are updated. I would highly recommend versioning the files rather than updating them. We've deployed large volumes of content for dozens of clients automatically and transparently. "Faster sites, lower bandwidth costs"
What i really enjoyed is the free tier in the first year. I've also read a lot about them against competition and most of the reviews were awesome. I also liked that i could "easily" install my WordPress website, without much hassle. Not really intuitive for beginners, but got used to in a short time after sorting out some wording and unique concepts. Trying to figure out which are the right options for a start can be slow at start. I think its really worth to give it a try. One year for free and the capacity of seeing how much it could cost after the trial is over its a ggreat way to capture new clients. Saving money by providing free hosting to some of my content. Including my WordPress website which runs smoothly. Fast running servers helped me improve my website speed comparing to my previous host. "Super easy to setup & works like charm!" Ease of setup & how well it works along side amazon S3. When I first wanted to use a CDN for my startup, it was pretty new concept to me but the amazon's introductory videos & guides help me easily setup. It might take a while for the CDN to start to take effect. But once it is done, you won't really have to visit that page again unless you need to reconfigure something. Not much I found to dislike about. Maybe because my use case is not that extensive. I needed a cdn for my startup where we have images for various milk products. 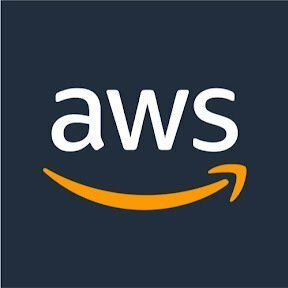 I hosted all the product images on aws cloudfront. "CloudFront: The new definition of Awesome." Honestly - damn near everything from A to Z. ACF has been a huge boon to us in terms of value and uptime. Cost. We all know disks are CHEAP these days, so you'd think that smaller cost would somewhere translate into the lower fees offered by other reputable companies. I think mostly you're paying for the Amazon name, backing the service more than the service itself. Consider your budget and potential growth for the next five years and match that against what Amazon and others offer. Yes, there ARE less expensive options, but you have to consider security of data as well and unlike SONY, who feels customer data is not worth protecting, Amazon makes sure you're covered left, right, top, bottom and diagonally. Uptime. Online businesses live and die on uptime. You lose access to data and you're dead in the water. Amazon Cloud has certainly made sure we notice nothing if there's a glitch. It is a neat service tighly integrated with Amazon Cloud. It is designed to further abstract away the details of the platform. You can simply upload a file to your website. The resources associated with the file are provisioned automatically, and scaling is handled by the system. If the event volume goes up, causing the file to be downloaded more often, more resources will be allocated; as volume drops, resources will be cut, possibly to zero. Assets are strictly pay-per-use, meaning that if a function isn't called, it costs nothing. User interface is not so great and power features can only be implemented with API calls. Invalidations are expensive, so it's better to drop the whole bucket. ... Other services simply have button to invalidate all and do not have a 1,000 invalidations limit to begin charging per invalidation. Amazon CloudFront must be implemented with any Amazon EC2 web server. It helps to distrute the processing load in a consistent architecture. Poke around the infrastructure of any small or medium website or mobile app these days, and you're bound to find something other than a web server and a database, a CDN is doing much of the heavy lifting, publishing static assets. Server network overload. Load distibution. The service really helps to reduce the load in a web application server. "Always on, amazing up time and customer service"
What I liked the best about Amazon web services is I never needed to follow up on anything after I did the initial setup. That is to say that the service works perfectly and has such little down time that I've never had any sort of issues. Honestly I've had nothing to dislike. In my experience with any sort of product like this, the more you have to deal with them the more of a headache everything is but as I stated before I think after setup I had 1 additional conversation when I wanted to bring them more business and that was it. Just a really seamless product and experience. I would go with it if you are even considering it. The pricing was a little more than some other competitors we were looking at but it was nice to know we had amazon's infrastructure behind everything. Content delivery, especially as it related to global content delivery. I think the biggest advantage amazon cloud front had over others was that they are a big name player with no minimum usage commitments. My client was in a very esoteric vertical so he had a unique scaling situation which amazon cloud front was perfect for. The other great thing is it integrates with amazon web services which my client was also utilizing at the time so adding on another line and service was pretty simple and straightforward! "Great CDN and super affordable"
Cloudfront is about as good as you can get in the cost/performance ratio. Other competitors can compete in certain categories, but overall Cloudfront wins. I've been using it as my CDN for nearly every side project and company I've worked for in the last 6 years. The only real issue I have with cloudfront is the learning curve can be a bit high. AWS's control panel is a bit of a nightmare and figuring out stuff like setting permissions and TTL can take a while. "Painless integration with S3 and Custom SSL"
Amazon Cloudfront gives me the ability to deploy my static website on a global CDN very quickly and very cheaply. Integration with S3 is immediate and easy, cache invalidation is a breeze using command lines tools and gives the ability to automate everything. With the recent addition of free Custom SSL every single thing a static site may ever need is integrated. All I had to do was configure my distribution one single time, copy my credentials to my deployment tool and now I can forget it even exists. For a non-programmer like me it's a breeze. And for a low volume website like mine it's nearly free. While Cloudfront is nearly free for near 0 volumes, the fees goes up very quickly. I think the ease of use makes up easily for the high fees for big users but if the only thing you are interested in with Cloudfront is the CDN part and you don't mind losing all the other tools and integrations that really make Cloudfront, then a pure CDN like Akamai or a custom solution will be much cheaper. I recommend Cloudfront to anyone considering creating a fully static website. It's the perfect use case. And now with Custom SSL it's much better than the altnernatives. Initially though cloudfront seemed something simple to grasp on and deploy quickly. What might appear to be a daunting task is done pretty quickly by it. The documentation, AWS support along with AWS CLI is incredible combination for all our needs, being a developer or sys-admin. Sometimes the speed lacks way more than other competitors like those based on Akamai. Particularly for India, we sometimes do not get a competitive enough speed on page load time, where as people using Cloudinary seem to have a pretty good TTFB. HTTPS speeds using SNI also seem a bit slow, however our servers are tuned by hand for this, maybe you guys can provide more control there. Adding additional headers requires the source to support that, and these headers can't be easily managed in control panel. While this structure contributes to simplicity, i have seen many people drop Cloudfront as an option and moving towards other alternatives because of it. Cloudfront is a great CDN service, which can be flexibly targeted in a variety of circumstances. It is very easy to set up, especially if your source is in S3. A single file is limited to 20GB, which in today's day and age, is insufficient. Increase document size support to at least 500GB per file. Multimedia files are large, noise files are larger. There is no need to limit it to 20GB if S3 can support unlimited object size. quick access to content for global users. "Not the easiest to set up, but does a great job at a reasonable cost"
low cost, high performance CDN backed by Amazon's massive infrastructure. Although not the easiest to figure out at first, Amazon provides solid documentation, and there is a wealth of other 'how-to' articles to be found online. Unless you work in opps/dev-opps, you might find the interface a bit arcane. I would have been lost without documentation and third-party how-to guides. Despite the initial learning curve, I see a lot of value for Amazon CloudFront. I use it primarily to help speed up static websites hosted on S3 buckets. With S3, Route 53, CloudFront and a good static site generating system (Jekyll or Middleman, for example) you can create a blazing fast website that will scale to a ton of traffic, if needed. At the same time, costs are reasonable. I can only comment on the benefit to small projects, but in that regard, CloudFront excels and is well worth the somewhat steep learning curve. Software image and OS update mirror for FortiSIEM from Fortinet Inc.
"Amazon can do a lot better then this"
Cloud Front provides really good performance compared to other platforms out there. it does come with a cost due. If you use other services of Amazon Web Services then this is a no brainer. The API is documented very bad but it works and it's flexible. The main advantage is the pricing, there is not competition right now that makes it as affordable as Amazon's Cloud Front. The only Good part of This is the API, they have it well wrapped in more the a few SDK's making the technical work with Cloud Front not so bad, assuming you are a programmer. Using this product is complicated like hell! you really need to know what you are doing or have a lot of patience. the documentation is endless and not clear at all. Also, Amazon is a company with a lot of resources, hire a UX person already! You will probably use this because you were forced to. try and look at other options first. Try to look external tools that wrap around the API and make the use of this product a little bit less horrible. I use Cloud Front for a few small business websites. I don't want to use it, but i have to because I need SSL for those websites and they are statically hosted on S3. Sometimes it seems easier to just start a simple instance and setup static file hosting using nginx on it then setting up Cloud Front. "CloudFront is very fast and easy to use"
Cloudfront is very easy to use for things like caching static assets for rails applications. Its simple to configure, very fast and supports SSL. If you use rails in particular, it only takes a couple of steps of configuration to make it deliver asset-pipeline assets for you (JS, CSS, images). Dramatically improves performance, particularly for large payloads. Perfect for hosting static websites or adding a caching layer to an existing web application. Very inexpensive and fairly painless to configure. Rails asset hosting is painless, static website deployment requires a bit of scripting. Nothing too complicated. "Cloud services from the giant "
Aws is a well known top service for everything in the cloud market. CloudFront makes an amazing cdn service that includes everything one would need to accelerate apps and websites. It has dns zones, various caching options and ssl security. It's a bit pricey compared to other not giant cdn services. Give it a try with the trial access, it can be difficult at the beginning but remember that this is a top quality service mostly aimed to big business. "Does what it should and Easy to setup"
I understand the reason for it, but the wait time to deploy changes is 15 to 20 minutes. Regardless if your infrastructure is hosted on AWS or not, its so easy to get started. The integration with S3 makes it so simple to host all your data. The best part about it is that its all hands off and does not require a self hosted origin! The interface is very very clunky. I think it could use a complete makeover. Host as much content as possible on S3. We used CloudFront to host static files for our website that was consumed by millions of users. We also used it to deliver live video feeds! the user interface can be challenging sometimes and hard to find the information you require, also the customer service can be hard to reach and get responses. As with all things AWS, it has a very powerful API that can tie in with your other AWS resources. It also has support for Amazon's ACM, which can provide free SSL certificates for your sites. Amazon doesn't have as many edge servers as some other CDN providers, and it doesn't have as much analytic information as other solutions. CloudFront is a good starting point for CDN if you are using other AWS services. There are other CDNs with more powerful features, but CF is a good place to start. Cloudfront provides CDN features directly within the AWS environment. It is easy to provision and manage with automated tools, which reduces administration time. As a CDN, it reduces server load and speeds up content delivery to end users. "Fast, secure, reliable, and efficient CDN for static assets." CloudFront is extremely fast, includes HTTPS, custom CNAMEs, a thorough and useful API, global edge coverage, and, best of all, you only pay for what you use. Instant purge is always extremely useful, especially during periods of frequent development and change on a website. In addition, S3 integration makes hosting static microsites easier and cheaper than ever. CloudFront has a relatively steep learning curve for someone not already immersed in CDN space, making it more difficult to pick up and hit the ground running than a competitor might. I would recommend researching all your options and needs thoroughly before you commit, as CloudFront can become convoluted quickly if in inexperienced hands, and you should be sure that your particular technology stack can be utilized with CloudFront without excessive labor by way of implementation. We like the way Amazon connect each services together. When you start using AWS, this is a no brainer to leverage all the different services since the API and integration have been designed to work in symphony. CloudFront is the easiest way to distribute your files all around the world, optimizing load time, and uptime. No-brainer if you use AWS, one of the best for everything else. Since we have customer all around the world, classic hoster were not able to provide low latency/fast loading servers everywhere. With CloudFront, you don't have to worry, it is always fast. The ease of converting your s3 stored static content into a cloud front. Also that most of the heavy lifting and config is done by aws, as with most of their products. Can't say anything bad, maybe work on pricing structure more. I noticed with multiple of their services, the fees are always changing so it can be difficult to estimate cost. Good thing is prices are dropping. If you already use aws specifically s3, this is for you. Get up and running very quickly, for us was same day. * We monitor all Amazon CloudFront reviews to prevent fraudulent reviews and keep review quality high. We do not post reviews by company employees or direct competitors. Validated reviews require the user to submit a screenshot of the product containing their user ID, in order to verify a user is an actual user of the product. Hi there! Are you looking to implement a solution like CloudFront?